History is a funny thing — in reality, things happened in only one way, but how they are remembered with time can change. Sometimes, things are remembered with fondness and other times with scorn. When it comes to the Street Fighter franchise, its humble beginnings led to a franchise that practically began an entire genre and gave life to the tournament scene that itself begat the current esports boom we’re in today. The 30th Anniversary Collection focuses on the arcade games and that is both to its benefit and detriment. It leads to this being the greatest single package of Street Fighter games in a single compilation, but also makes one wonder how much better a value it would be if every single version of a game that could have been included was included. It’s a bit ironic that Capcom was derided in the ’90s for having so many versions of their games when now those very same variations are sometimes lacking here. This is a robust collection, with artcade-perfect renditions of Street Fighter I, Street Fighter II, Street Fighter II Champion Edition, Street Fighter II Hyper Fighting, Super Street Fighter II, Super Street Fighter II Turbo, Street Fighter Alpha, Street Fighter Alpha 2, Street Fighter Alpha 3, Street Fighter III, Street Fighter III 2nd Impact, and Street Fighter III 3rd Strike. Online play has also been added to Street Fighter II: Hyper Fighting, Super Street Fighter II Turbo, Street Fighter Alpha 3 and Street Fighter III: 3rd Strike — making this the first time three of those four games has ever been officially playable online. While Capcom’s release of many variants on their games was criticized before, it is ironically a minor shortcoming of this collection now. While it’s understandable to just release arcade versions since those were the originals, it does hurt to not have console-exclusive features like World Tour from Alpha 3 present. Street Fighter Alpha 2 Gold would have also have been nice to see since that added Cammy and brought in a few modes, including Dramatic Battle from Alpha 1. You could also unlock older variants of characters and gain a retro outfit for Chun-Li in addition to gameplay tweaks for the custom combo and alpha counters. It was an incredible version of the game and a rarity at the time to have a console version with things that made it a better overall product than the arcade original. Fortunately, the many games on offer here are fantastic — with one notable exception. 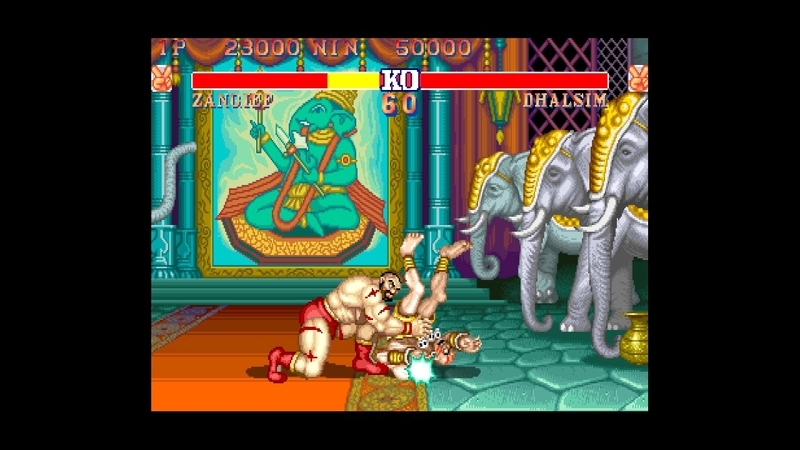 The level of improvement between Street Fighter I and Street Fighter II may be the single greatest in the history of sequels. The first game was a rough draft in every sense of the word and it’s amazing to think that such a high-grade franchise came forth with that as its origin story. 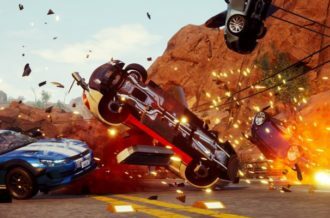 It’s a poorly-controlling clunky mess of a game, and yet seeing where it wound up going, you can tell that the framework for what the developers wanted to do was there. The problem is the foundation at the time as built on sand and the hardware they had to work with couldn’t craft their vision. Thankfully, technology evolved and gave us one of the most enduring fighting franchises ever. Having all of the different versions of Street Fighter II on here allows you to see its evolution from the first incarnation to the finely-tuned Hyper Fighting. With both versions of Super Street Fighter II included, you get a chance to not only see how the games differed in negative ways — like with the announcer change and higher-pitched voice samples — but also benefited from a now-classic character like Cammy being added to its roster while SSF II Turbo brought in the iconic Akuma and added in super combos with the often-imitated sunburst finishing graphic to punctuate the carnage. Similarly, seeing the Alpha series go from effectively being a retelling of the first game to its own sub-series is interesting. 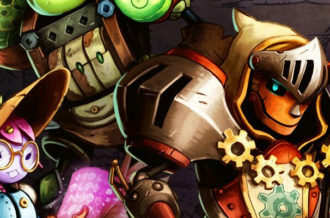 The first game featured a more story-driven approach to the core game and brought mid-bosses and before-battle conversations into the mix. 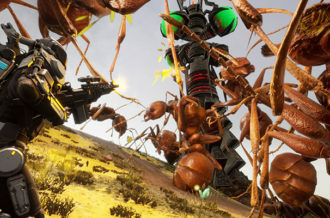 The Alpha games also served as a much-needed freshening up for the series at the time of their release. While the SF games were well-respected, they were like a great song that played the same note just a few times too often. It completely rebuilt the sprite art and gave every character a different feel from their SF II incarnations. 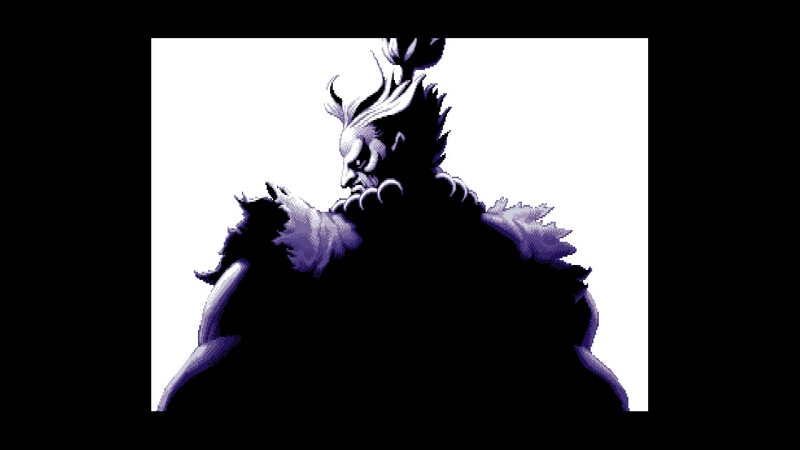 Characters like Sagat, M. Bison and later Balrog were given burlier physiques to add a sense of menace to them that wasn’t there before. Facial expressions were also made more expressive, and as time went on, the roster grew to include more Final Fight characters like Rolento and Cody to give the series more crossover appeal with longtime Capcom fans. Before its release, Street Fighter III was the stuff of legend. Rumors swirled since the release of the first SF II game that a third mainline game would be released “soon.” While the first SF III didn’t hit arcades until 1996, the wait was well-worth it to many and controversial to others. The near-complete roster shift from all prior Street Fighter games was jarring and outside of Ryu and Ken in the first entry and then later Chun-Li via 3rd Strike, no prior characters were featured. 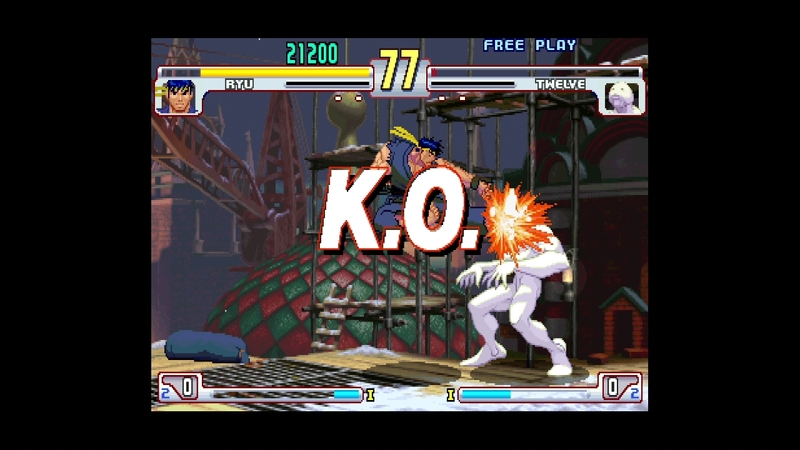 The SF III series was renowned at the time for its lush animation and even to this day it’s amazing how fluid all of the movements are. 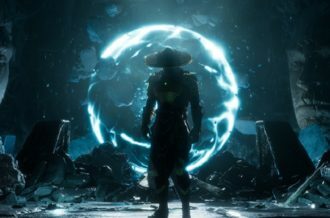 The revamped roster isn’t for everyone, but the more in the moment gameplay with the addition of parries, high jumps and dashes made you think on your feet more than even Hyper Fighting did. The overall emulation quality is fantastic for every game and picking which version to play is going to come down to personal preference. Playing on Switch with a Pro controller works well, and while even the revamped d-pad isn’t a perfect for it, the analog stick replicates arcade stick movement nicely. Having so much SF greatness on the go is tempting and a great reason to pick this version up. The PS4 and Xbox One versions benefit from having more SF games on their consoles, so they may be the best pickups for people with other franchise games on the device. 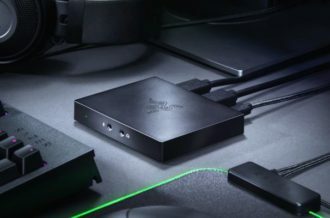 The PC version benefits from having the most controller options — so whether you want to use a stick, a Saturn-style controller or an Xbox One pad, you’ll be covered. 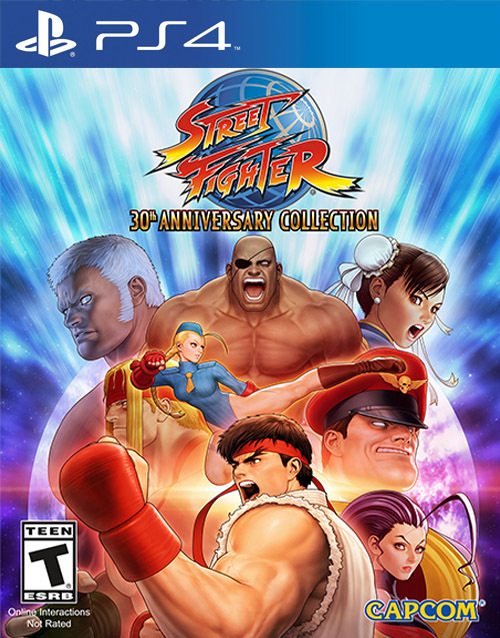 The Street Fighter 30th Anniversary Collection is a must-buy fighting game compilation. For anyone who has enjoyed the franchise before, it puts a large percentage of the franchise’s highest-quality games in one collection and it’s a great way to catch up and see what all the fuss was about for newcomers. As great as it is, the collection could have easily been better simply by including more versions of franchise-favorites like Alpha 2 to provide a more all-encompassing experience. As it stands, the core game collection is a bit lacking, but the addition of online play to a few of the games helps make up for that while the extra video and history content rounds out the package nicely.